Remember when you thought vRealize Operations 7.0 was a giant release packed with goodness? That was just the warm up. Welcome to vRealize Operations 7.5 which contains so many new and improved features I will have to break this technical overview blog into four chunks, so you don’t break your mouse’s scroll wheel in one The post What’s New in vRealize Operations 7.5? 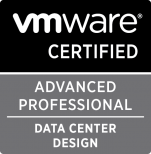 A Technical Overview, Part 1 appeared first on VMware Cloud Management. nice post, keep going on, thank you for the share.